Birding quiz: What do you see here? Some birds are experts when it comes to camouflage. Is that the case here or are there no actual birds in the photo? Leave a comment with what you see and how many (if any)? I’ll post the answer in the next day or two. Thanks for playing along. This entry was posted in birding quiz and tagged birding quiz by Chris Bosak. Bookmark the permalink. I see two very sneaky little birds. Is it 2 brown creepers? I have to admit I saw only one at first, before jabbajane tipped me off. 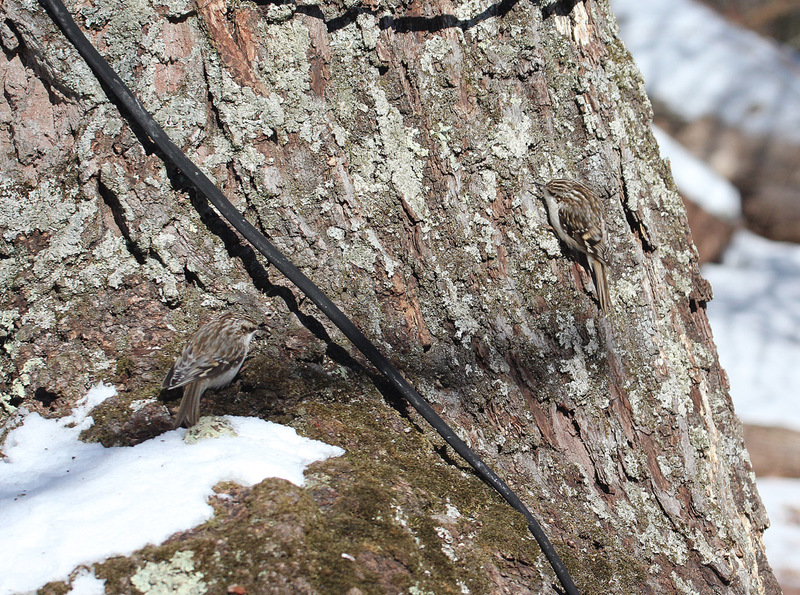 At least two Brown Creepers. Thanks to Anne! Two little wee birds… cuties! I too only saw one till I read the comments. Are they Brown Creepers?